The latest flagship device Galaxy S8 from the Korean major Samsung was officially unveiled at an event in NYC last month. Undoubtedly, the Galaxy S8 came as a bliss to the Android Community with a ton of intriguing features. Today we are going to spread some light on the stunning bezel-less curved display. If you are familiar with the Always on display technology, you might have noticed that every smartphone manufacturer is trying to make it better and better considering each possible nitty gritty. Some of those include the latest flagships from the HTC, LG, Moto and Huawei. Similarly, the Galaxy S8 is loaded with an advanced version taking it to another level with the stunning infinity display. 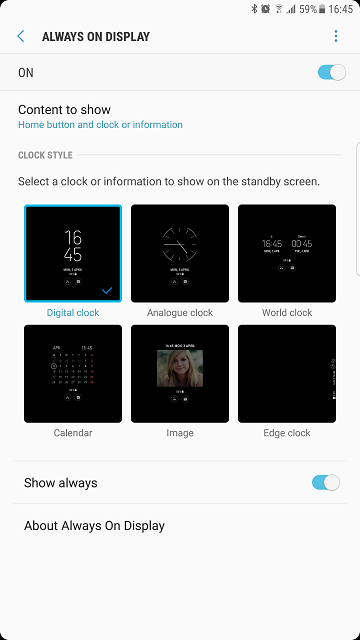 So, if you are already a fan of the Always on Display feature of the Galaxy S8 and wanna try it on your Samsung device, we have a good news for you. As the system dump for Galaxy S8 is now live, we have captured and extracted the latest-Always on Display APK from the S8. It is now available and you can grab the same from the links given below. How to Install Galaxy S8’s Always On Display feature on any Samsung device? As the file comes as an APK, so you can directly download and install the same on your device. But just installing the APK won’t work, so follow the given steps. Download and Install the file given above. Once the installation is done, the app will force close. Now you need to Clear the data so that the app works. To do so, go into application settings> Always on Display> Storage> Clear data. Now reboot your device once. You will see the Always on Display right there on your Standby screen. Ta Da! Well, did you like it? 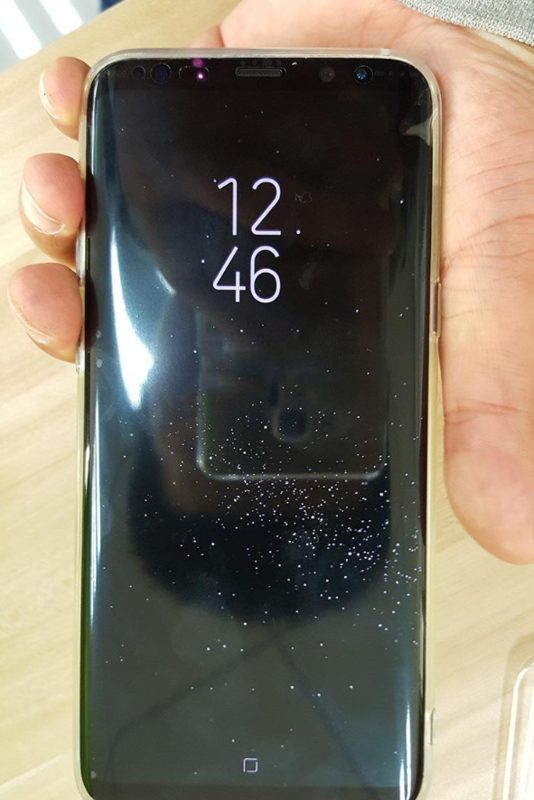 What do you feel about the new Galaxy S8 Always on Display feature? Give it a try. Also, share your experience with us. If you face any issues while downloading and installing the same, reach out to us via the comments section below. Whats the proper steps to get it works on the S6 edge? Able to install and turn it on in Setting > Display > Always On Display but whenever tap to go into the option, it prompt Always On Display has stopped. Cleared data and rebooted still the same.